Whether this is your first Mercedes-Benz or your first car ever, it can be a nerve-wracking prospect. After all, most people spend hours upon hours in the car every week, so you want to make sure you make the right choice. To make the car buying process a little more straightforward, use the tips below. Before buying a car, determine how much you can afford to pay every month. Consider what other bills you have to pay, then see how much is leftover for the car. This includes everything like car payments, gas, insurance, and other maintenance costs. With this number, calculate how much car you can afford. This will narrow down your options when at the Mercedes-Benz dealership. Auto loan interest rates depend greatly on the credit score of the borrower. The better the score is, the lower you will pay every month. 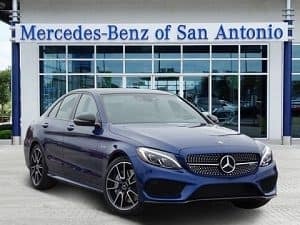 Before you buy a Mercedes-Benz car in San Antonio, TX, check the rating to see what, if anything, needs to be done to boost it. If the score is on the lower end of the scale, you can improve it by paying every bill on time, not opening new credit accounts, and correcting any mistakes on the report. For more personalized guidance, meet with a financial advisor. Think about what kind of vehicle you really need. Though cruising around town in an SUV may look cool, it will also cost more for fuel and insurance. Sure, a new car would be great, but do you need the extra costs? Think about what you will use your vehicle for. Will it be used just to transport you to and from work or do you have kids that will need to be driven all over town? Consider what you really need from the car, not just what you want. Once you figure out what you need in a vehicle, you can consider what else you want. Maybe fuel efficiency is most important, or perhaps you want the latest tech in your Mercedes-Benz. Make a list of everything you want from a car. Then, prioritize your wants, ranking them from most important to least important. 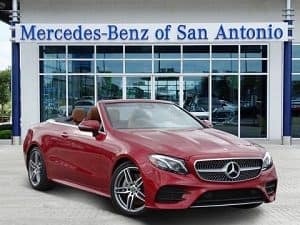 Now that you know exactly what you need and want in the car, you can begin researching Mercedes-Benz dealers and models. It’s vital that you have an idea of what you’re looking for prior to arriving at the dealership. Narrow down your selection to two or three cars based on your list of needs and wants. Then, test drive these cars to see which one is truly the best for you. Pretty soon, you will be driving away in your very first Mercedes-Benz.